As floodwater releases take place across many Oklahoma reservoirs…GRDA lakes will have a slow return to normal elevations. Despite the high lake levels, the Grand River Dam Authority is reminding boaters that lake-area businesses around the shores of Grand and Hudson are open and GRDA does expect the lake to be busy over the weekend and the days ahead. 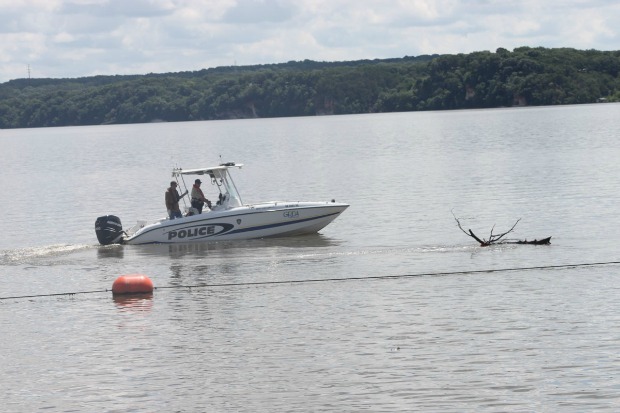 “We simply want to stress common sense and caution as boaters visit the lakes during this time,” said GRDA Corporate Communications Director Justin Alberty. Alberty added that the heavy inflows into the Grand River Watershed have slowed in the last few days, but a return to normal water levels may take a weeks for both Grand and Hudson lakes. Alberty said the United States Army Corps of Engineers, which controls floodgate operations and GRDA’s Pensacola and Robert S. Kerr Dams, is managing releases not only from the Grand River Watershed but from several flood-swollen lakes in Oklahoma. Be mindful of your boat wake and proceed with caution in areas near structures. When lake levels are elevated boat wakes can cause damage to structures (like houses!) that are normally above the shoreline. Do not go into spillway areas below the dam. Please use common sense and stay away from areas below floodgates where water is being released. The swift water can be very dangerous and it is against the law to enter into floodwater discharge. GRDA is reminding the public that the latest lake level updates are available on grda.com, as well as the Authority’s Facebook and Twitter social media sites (also HERE). You can also sign up to receive text messages from GRDA by clicking on the “News” drop down menu on grda.com, then clicking on the “Text alerts” tab. The service is free. You can also download the “Grand Lake app” to Apple or Android devices and receive the latest lake notifications.